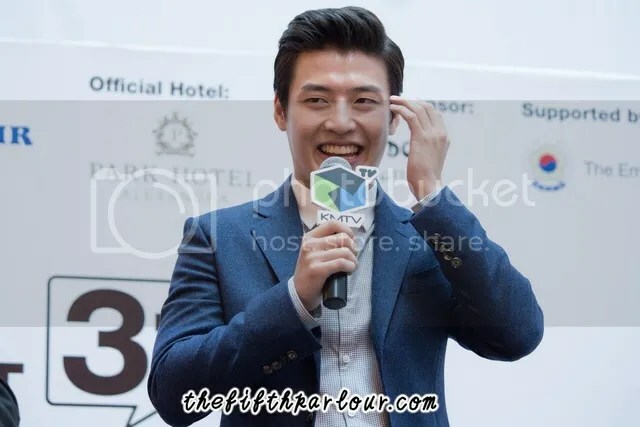 [EVENT REVIEW] Kang Haneul’s 1st Showcase In Singapore – A rising star with triple threat quality! 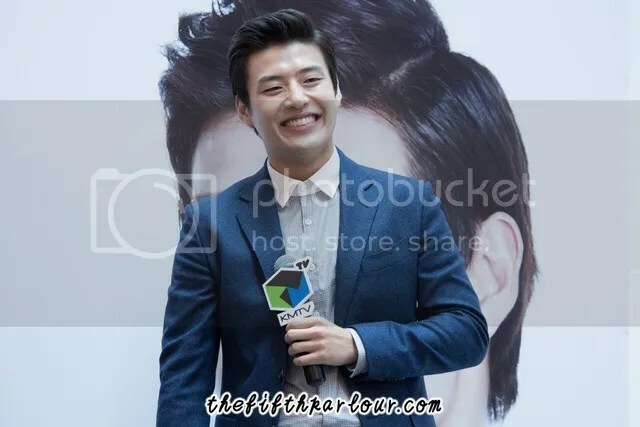 On 31 October 2015, South Korean rising actor, Kang Ha Neul delightfully greeted both fans and media at Plaza Singapura for his first ever overseas fan event in Asia – Kang Ha Neul’s 1st Showcase in Singapore. The public showcase which lasted for over an hour gathered enthusiastic crowds up till the sixth floor of the mall, leaving the star in awe as he continuously smiled and posed for fans with his trademark V sign. Captivating the crowd with his soft yet comforting vocals, the 25-year old multi-talented star kicked off the showcase with a heartfelt performance of Three Things I Have Left (내게 남은 세가지) – a soundtrack off his previous drama, Angel Eyes. Being his first visit to Singapore, Kang shared that he was very surprised and thankful for the warm welcome by fans. Overwhelmed by the crowd, the coffee-lover showed an adorable side of him as he smiled shyly to fans and cutely replied to their shouts of affection, even to those from the levels above. Throughout the showcase, Kang gave endless fan service and interacted actively with fans. During the showcase, Kang went up close and personal with 5 lucky fans – in which 3 were personally chosen on-site to participate in a game with him. The crowd went frenzy with envy as he warmly welcomes them on stage with handshakes and hugs. Putting Kang’s knowledge of Korea pop music to a test, the game required Kang to guess correctly as much songs sung by the contestant – out of 5 songs. There were plenty of funny episodes during the game session as Kang clearly struggles to guess the songs correctly. There was once when a fan was singing along to Candy by H.O.T. Upon hearing the familiar melody of the 1990s hit track, Kang quickly went on to answer “Candy by Sechs Kies”, causing him to erupt in laughter of disbelief. Both bands were widely known for their friendly rivalry during their prime team. Kang also showed his cheeky side as he tries to stall for time. It was well-played by the emcee, who did a great job maintaining the fun vibe both on and off stage! Another funny episode was when fans ganged up against the emcee and helped Kang to guess the songs. Though the game was meant for them to compete against each other, they simply could not resist the urge to help him out. It was initially planned that the sole winner will get to take a solo polaroid shot with Kang. However, upon a special request by Kang, all 5 fans were entitled to a group polaroid shot and the winner of the game will get a special solo polaroid shot on top of that. A short media session soon followed after. Other than being a hardworking and versatile actor, Kang is also widely known to be a talented singer – evident from his many participation in various musicals and drama soundtracks. When asked which out of the two he prefers, he shared that while he enjoys doing both, his main focus would be on acting. He added, “The OSTs that I have participated in are like the by-products of my acting career. Singing is more like a hobby for me”. His appearance in Singapore was also part of his promotion for his latest hit movie – Twenty, at the Korean Film Festival 2015. Reliving the memories to when he was 20 years old, he shared, “I feel that I didn’t live life to the fullest back then. I had a lot of fun but I had my fair share of regrets too.” Taking up the project has also made him crossed paths with fellow co-stars, Kim Woobin and Lee Junho, whom he regards as his very close friends. Looking at their great chemistry on and off screen, it is of no surprise when Kang expressed his wish to work with them again, given the opportunity. 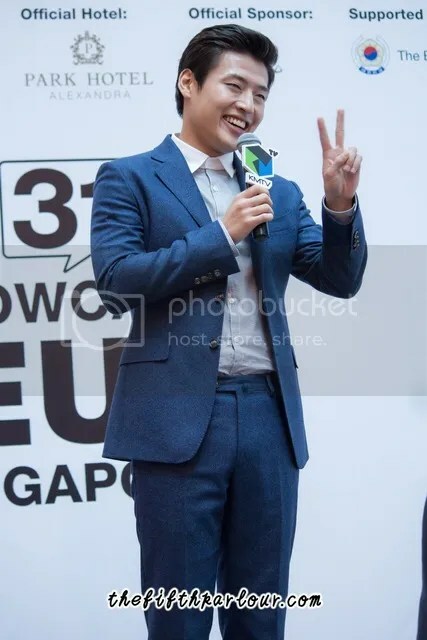 Kang burst into a hearty laughter almost immediately when he was asked about his tendency to always make a V sign whenever he pose for a picture. He then shyly clarifies that posing with a V sign is a way for him to avoid feeling awkward. As the showcase draws to an end, Kang shared his gratitude to fans and expressed his hopes to come back to Singapore more often for such events. Closing the curtains with a special live performance with no accompaniment, Kang serenaded the crowd with a very sincere performance of “I Will Love You (널 사랑하겠어)”. To remember the moment, Kang took a group selfie shot with fans and made one last bow to the crowd. It was indeed a moment to remember, especially for fans who have been waiting earnestly for the star to visit our sunny island. Triple Threat Kang Haneul indeed – Amazing Visuals, Vocals and Fanservice. We are surely looking forward to his next visit in Singapore! 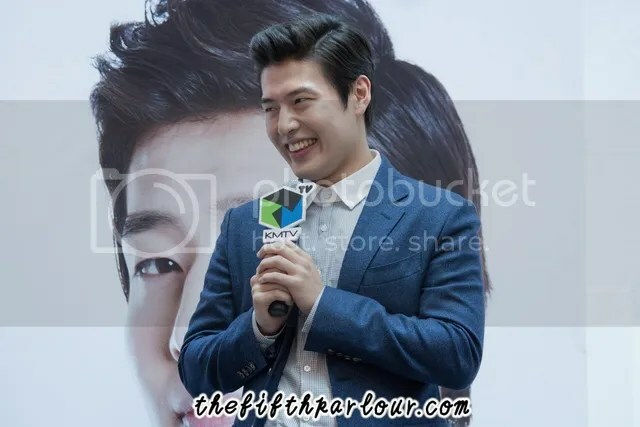 Special thanks to KMTV Asia for giving The Fifth Parlour the opportunity to cover Kang Haneul’s 1st Showcase in Singapore & a shout-out to the amazing emcee for the event!